Packed with powerful and time-saving features, this software is for both the casual hobbyist and the home-based business entrepreneur. Brother have packed this software with so many NEW time-saving features that will help you create more in less time. 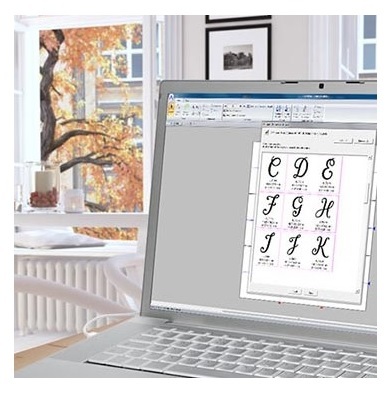 Imagine the capability to create your own fonts, stitches and designs - just once - to use many times on hats, pillows, shirts, and other fabrics. Reduce the amount of time spent changing threads by using the Intelligent Color Sort feature, which will stitch those areas that share one color in groups. Having the ability to choose your own built-in fonts and designs in less time will help you start your projects sooner. 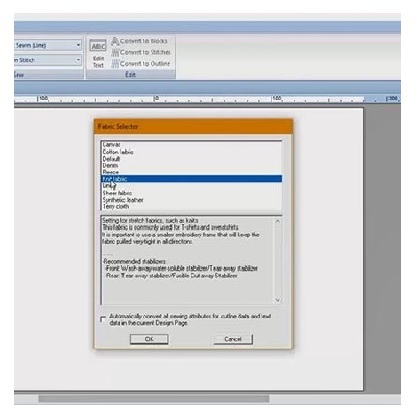 Using the font filter it will help you narrow down your choices from the 130 fonts built into PE-DESIGN 11. 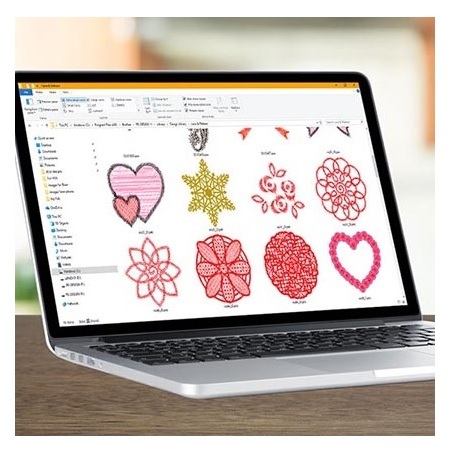 Choosing from over 1,000 built-in designs is now easier with the design preview that lets you see your choice before you stitch. How much time do you spend trying to figure out what type of stitch you need for your fabric or the time it takes to change threads and match color segments? PE-DESIGN 11 has a Fabric Selector that will automatically adjust the sewing attributes for your embroidery based on your fabric selection. The Intelligent Colour Sort function will group stitches that share the same colour’s so you can reduce the time spent changing threads. 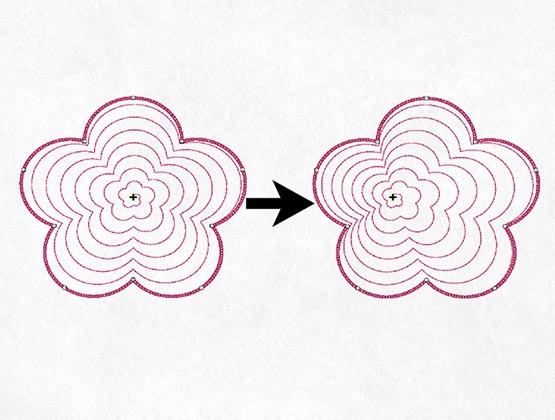 Round and Flexible Spiral Stitches add motion and dimension to your embroidery shapes. 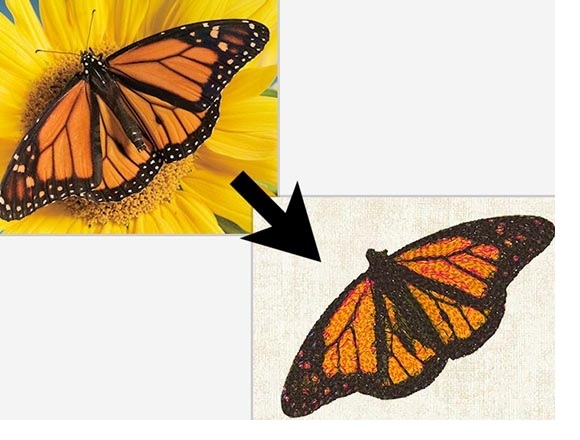 Stitches can be set to follow the shape of your embroidery or stand out to give you a three-dimensional effect. PE-DESIGN 11 and the Luminaire XP1. Save £400 on PE Design 11 Software or £130 on PE Design PLUS 2, when purchased with any Brother Embroidery Machine - phone 01483 267777 for details.